[PTT TERBIN] น้ำมันหล่อลื่นเทอร์ไบน์ ที่มีคุณสมบัติในด้านการแยกน้ำได้ดีและช่วยลดการเกิดฟองในระบบ ทำให้เทอร์ไบน์คงประสิทธิภาพการใช้งาน และยังช่วยป้องกันการสึกหรอรวมทั้งการเกิดคราบโคลนและวานิชที่เกาะตามชิ้นส่วนต่างๆได้ดี High performance industrial turbine oils that offer high performance demulsibility for water separation and low foaming formation along with wear protection and sludge-varnish prevention for maintaining turbine efficiency. • Suitable for water turbine lubrication. • Various application where rust prevention is required. 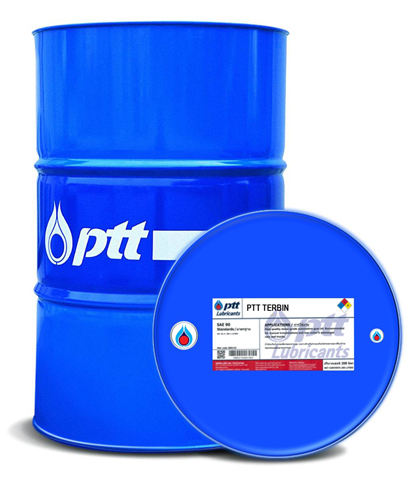 • Can be used in hydraulic control systems, vacuum pump, and general transmission systems as rust and oxidation inhibited (R&O) oil.